It’s August, which means one thing – millions of college students are about ready to walk on campus to start back for the year. The college experience, crazy expense aside, is one many should experience. In the midst of all the fun and hard work, one thing is missing – practical lessons on money. That is a true shame. In an age when many take on crazy amounts of debt to fund the college experience, the one thing that should be discussed, or at least offered, are basics on personal finances. Personally speaking, I learned a lot during my time in college, but one area that fell short was true, actionable ways to manage money. A lot of that was due to my own personal mistakes, but a lot of it was also a lack of teaching on the basics. 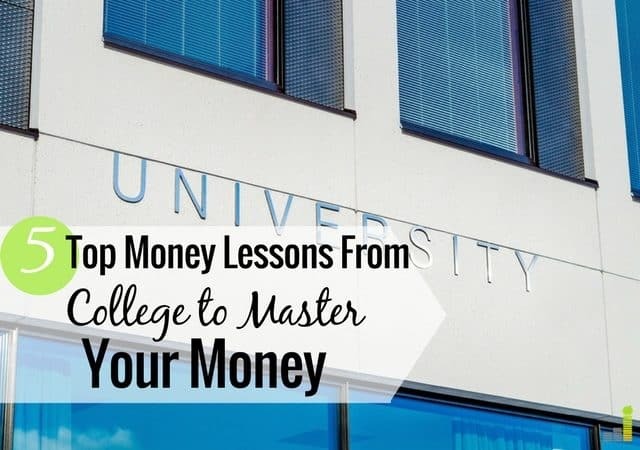 Whether you’re just starting college or are in your last year, here are some things they don’t teach you about money in college that you absolutely must know. Earning that paycheck once you graduate is awesome, but these tips will show you how to manage it to get the kind of life you want. Student loans are the 800-pound gorilla in the room. Reports indicate the average 2016 graduate had over $37,000 in student loans when they walked across the stage. That’s a staggering amount of debt to graduate with, especially if you don’t land a high-paying job. Many will point to limiting as much as possible what you take out, not spending loan money foolishly to finance things you want, and consolidating loans into a lower interest rate once you graduate. Those are all great points and I completely agree that they’re must follow tips to pay off student loan debt. However, one thing they don’t really tell you is that it’s possible to begin to repay your loans while you’re in college. This will require some sacrifice and likely some reprioritizing to make it possible. You will also want to look at this specifically if your loans are not subsidized. If they are subsidized, interest will not begin to accrue until six months after you graduate – assuming you’re at least part-time. Unsubsidized loans, on the other hand, start accruing interest the moment you receive the loan money. If you have a job while in college and you can afford it, making a payment to cover interest on a regular basis may be the best way to keep your debt balance down and help you kill the loans quicker after you graduate. You may not realize it, but networking plays a huge role in your financial life. As the saying goes, it’s not what you know but who you know. There are many opportunities to learn how to network while at college. You can network with other students when you work on projects. You can network with co-workers if you have a job in school. You can also network with your professors. I have someone in my family who networked with several professors during, and after college and it has turned into several career opportunities for them. What they may not tell you is much of networking is not what about you can get out of a situation, but how you can help. This sounds counterintuitive but it’s true, and the more you give, the more you get back. There are many other benefits to networking from learning how to clearly communicate to building relationships to learning how to appropriately receive feedback – all of which you can use grow in while in college. You may have heard your parents talk about saving money around the house and finding ways to save money each month. Both of those are great to do, but what they don’t tell you in college is that it’s the large expenses that kill you. Those two expenses have a direct impact on what you have leftover at the end of the month. Go high on both of them, and you may be living paycheck-to-paycheck with nothing leftover for the things you enjoy. Assuming you’ll be renting, you want to spend no more than 30 percent of your income on rent. You can lower this by getting a smaller place or getting a roommate. Buying a new to you car can be fun, but it’s also very expensive. Instead of opting for a more expensive car, look for a reliable used car like a Honda or Toyota that will last you and has a relatively good retail value. If you have to borrow to buy a car make sure the car payment is no more than ten percent of your monthly income. Car payments may seem “normal,” and all your friends may have them, but they destroy your wealth in the long run. Investing in the stock market is likely the last thing on your mind while in college. I get that. It was for me as well. I have just one question to ask – do you have a job? Then, a follow-up question, does that job offer you access to a 401(k) with match? If they do, that is free money. It doesn’t matter how far off retirement seems, free money is still free. You may not have a job right now, and that’s ok. However, you will have a job when you get out of college, and it will likely offer you a 401(k) plan. Not only is a 401(k) the easiest way to save for retirement but if you get a match, you’re actually paid to save for retirement. Even if you have student loans to pay off, it still makes sense to take advantage of the free money. The rest of your extra money can go towards killing the student loans, but take the free money and run with it. Your future self will thank you. If you’re able to save more, or you don’t have a 401(k), look at a robo-advisor like Betterment. You can open an account with Betterment with whatever amount you like, and they will manage the investments for you to make sure they’re on track. 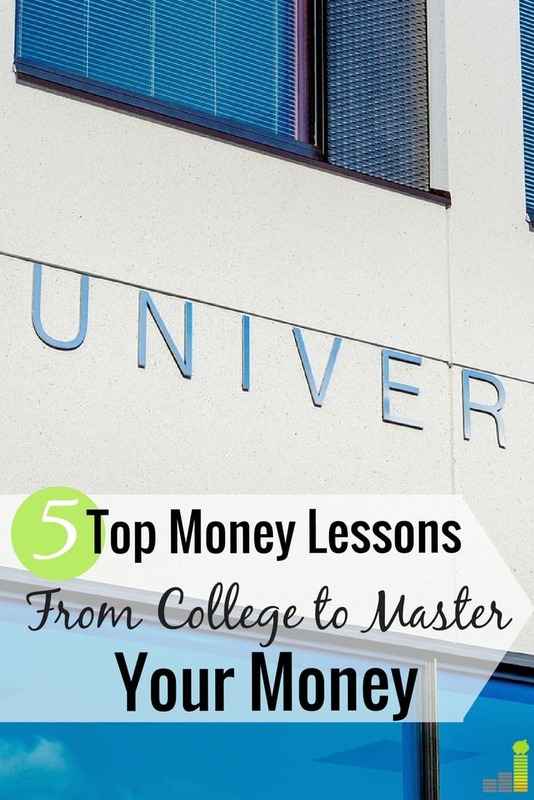 The biggest thing they don’t teach you about money in college is this – paying yourself first. This is such a simple, yet incredibly important pillar of personal finance. It works like this. The moment you get paid you want to pay yourself like you would pay a bill. This can be into anything like a Roth IRA or a savings account if you’re just starting out. It’s ok to start small, even if it’s $25 per paycheck. It’s not really the amount that matters in the beginning. What matters is that you do it and develop that mindset of saving. In the beginning, you can use it to build a small emergency fund, and as you earn more and are able to save more, you can use it for retirement savings, saving for a house, car, etc. The best way to get into the mindset of paying yourself first is by automating it. Pick an online savings account, like Ally or Synchrony Bank, that allows for automated transfers and pays at least 1.65% and 1.85% respectively on your balance. Then, have a transfer go through each payday. You won’t feel the transfer, it’ll force you to live on less, and you’ll be on your way to growing wealth – which is the real long-term goal. Following this simple, but vital rule helps you avoid foolish spending and prioritize what you want in life. What else don’t they teach you about money in college? What are some other soft skills that are beneficial while in college? Were you able to start paying off student loans or save for retirement in college? Completely agreed! Heck, the living below your means alone would be a great foundation for many students. Not necessarily about money, but I think “make your own experience” and “take advantage of opportunities” are two pieces of advice most college students should really take to heart. Your experience doesn’t have to be the “typical” college experience, nor should you let others influence what your experience should look like. As far as opportunities, it wasn’t until my senior year that I really got serious about my polysci major, and it made me realize if I had truly wanted to go that route I could have built good relationships with the professors and likely would have had lots of opportunities to do research and get my name out there in the field. But sometimes (usually) college students don’t realize this until the end of their college experience or after it’s already done! That’s a great point DC. You need to be open to what’s available out there and not think you need to follow the cookie cutter approach. I was in the same boat and realized what I needed/should’ve done too late – much of why it’s so important to go into college with some semblance of being informed as to what you want to do.